The Community Police and Fire Officers’ are familiar faces in school with occasional visits to the school from Road Safety organisations and various charities. As an active School Community we regularly support local and national charities and causes. This is done through various fundraising activities and supporting initiatives, which you can view on our Community Activities page on our website and on our blog. We have a Local Buying Policy in our school kitchen which requires and encourages us to support local producers where practical. We are members of the Stroud Association of Schools and are continuing to develop successful links with local industries, cluster schools and business. Working with businesses has enriched the curriculum and we, in turn, have been able to inform and advise industry about education. We welcome local community groups use of our school facilities. For example the local Brownie and Rainbow Packs who used the school playing fields for their ‘Race for Life’ during the summer of 2016, a local Judo Club who use the school hall on a Friday morning and a yoga group who hold classes on a Wednesday evening. We publish a weekly Newsletter aimed at keeping you informed of our activities and inviting participation. You can sign up to our newsletter at the bottom of the page. We are very fortunate to have a heated outdoor school swimming pool. This is funded by our PTFA (FOLSS) and is used throughout the last half term every day by all pupils of the school for swimming lessons and our PTFA (FOLSS) operate a Family Membership, whereby families at the school and in the wider community can use the pool after school, at weekends and during the summer holidays, as part of a closed membership scheme. Membership is at the sole discretion of FOLSS. 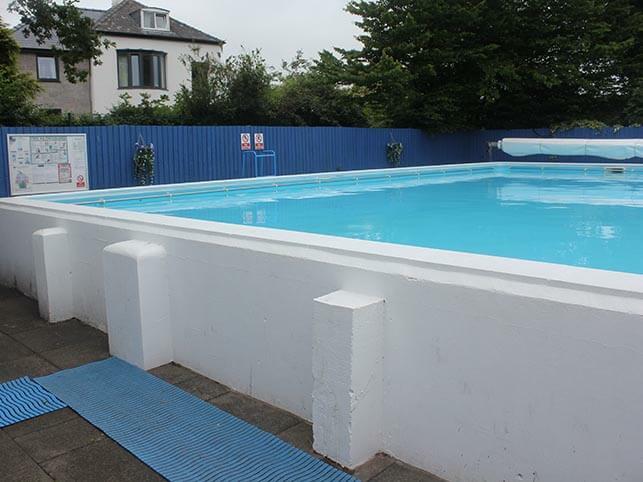 You can find more information about the pool and it’s Membership on the FOLSS website. Leonard Stanley Primary School is very fortunate to have St. Swithun’s Church in Leonard Stanley situated a short walk from the school. The school uses the church for worship, celebrations and learning. A dedicated team of volunteers from the church come into school every Wednesday to do ‘Open the Book’ sessions in our school assembly. The Stanley’s churches also combine volunteer forces to organise and run a quarterly Crafts Activity Afternoon at St. Swithun’s. This is held on a Saturday afternoon between 2:30 – 4:30pm and has a wide range of craft and make activities available free for children to do. There is also free face painting and refreshments. The church welcome donations. For more information about St. Swithun’s Church please go to the Gloucester Diocese website or the Church Near You website. We host Leonard Stanley Dozule Twinning Association events, including hosting French visitors in the school, who visit to take part in our school assemblies and talk with pupils etc. Pupils from the school are invited to form part of the annual procession that is part of the Leonard Stanley Village Fair. The school also exhibit pupils work within St. Swithun’s Church as part of the Village Fair which is open to the public.